Picture this: You've just flown from San Francisco to Beijing. It's about noon, and you have an important business meeting in an hour. But you're wiped out! You feel fatigued, dizzy, and maybe a little bit crabby… all because of jet lag. Jet lag is a common problem for travelers. It keeps you from functioning normally or enjoying your vacations. It can also make you feel unproductive and out of control. A lot of people might think they can't avoid jet lag, but they're wrong. You really can beat jet lag. So, before you hop on that next long-haul flight, read this article to learn about the best way to deal with jet lag. Let's start with a definition: Jet lag is a temporary sleep disorder (1). You can experience jet lag when traveling east or west across multiple time zones. Traveling east makes it hard to fall asleep, and traveling west makes it hard to stay asleep. So, what's going on? Well, your body has a biological clock that works on 24-hour cycles (2). These cycles are called "circadian rhythms." When you travel to a new time zone, it throws off that circadian rhythm. And then your body starts telling you to go to sleep right before important business meetings. If you've ever had jet lag before, you know that it's no fun at all. Show of hands for everyone who likes to have those symptoms before important business meetings! However jet lag impacts you, it can take a while to get over it. Typically, your body adjusts at the rate of 1-2 time zones per day (3). It would take your body anywhere from 4 to 8 days to adjust to that change! Believe it or not, there's a scientifically proven method to make jet lag less severe (4) — or even avoid it entirely. If you're traveling east, go to bed an hour earlier each night for seven days leading up to your trip. If you're traveling west, go to bed an hour later each night. It's okay if you can't do this for a whole week, or if you can't swing that full 7-hour adjustment. The point is to get your sleep schedule as close as possible to your destination. In this case, doing something is better than doing nothing. Eastbound: Take melatonin 2-3 hours before you hit the hay. Westbound: Take melatonin 2-3 hours after waking. Studies have shown 0.5-5mg to be effective melatonin dosages, and 80% of melatonin users had decreased jet lag symptoms. Anything over 3mg could make you sleepy (5), though, so it's probably best to stick with lower dosages. Getting exposure to light or using a bright light box can help fight jet lag. If you're headed east, try to get 2-3 hours of light immediately after waking up. As your wakeup time moves into the darker hours (see #1 above), you'll need to use a bright light box. Westbound? Flip it — shoot for 2-3 hours of light before bedtime. These three steps will help trick your body clock into adjusting faster — especially if you can use all of them together. And they'll drastically improve the quality of those overseas business meetings. - Arrive a couple days before any important meetings (6). This will give your body time to adjust. - Stay away from alcohol and caffeine 3-4 hours before bedtime. They can interrupt your sleep and also dehydrate you. 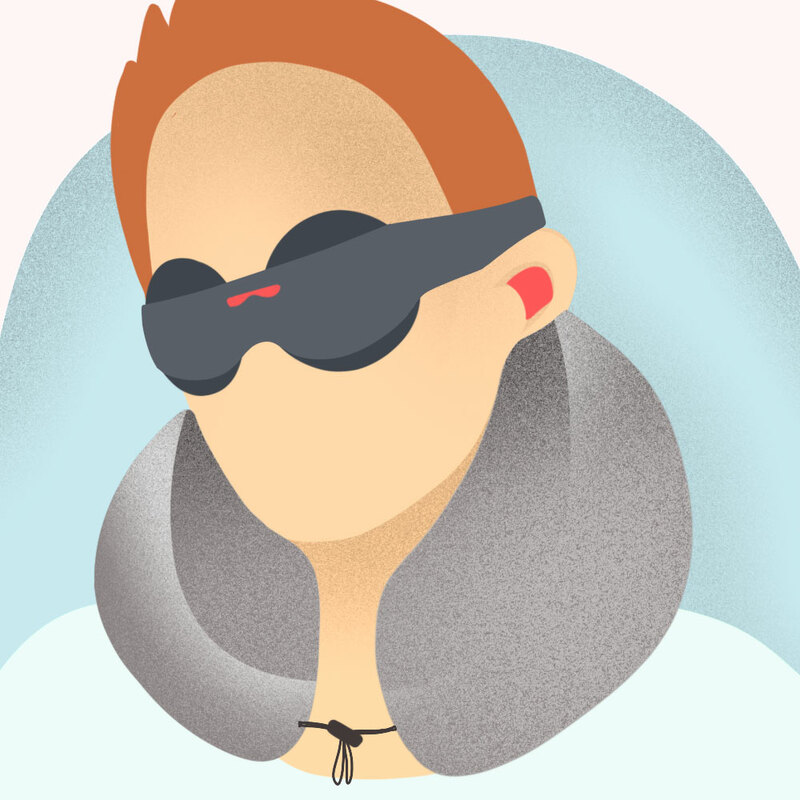 - Wear sleep earplugs and/or a sleep mask to make sleeping as easy and comfy as possible. - If you have to sleep during the day, limit yourself to a 2-hour nap. Then, up and at 'em! That's a Wrap — No More Getting Jetlagged! So, are you ready to cope with jet lag now? Are you ready to step off that plane feeling fresh as a daisy? And are you ready to step off that plane feeling prepared for a brand-new day of working hard and playing even harder? After reading this article, you should be. You know what causes jet lag, what the symptoms are, and how to prevent it. And, you've got some pretty great sleep products available to help you get the shuteye you deserve. So what are you waiting for? Go book a flight from San Francisco to Beijing. And when you land, get ready to seize the day in a different time zone. (1) "Coping with Jet Lag." WebMD, www.webmd.com/sleep-disorders/features/jet-lag-remedies#1. Accessed 25 September 2018. (2) "Jet Lag and Sleep. " National Sleep Foundation, www.sleepfoundation.org/sleep-topics/jet-lag-and-sleep. Accessed 25 September 2018. (3) "What is Jet Lag?" MedicineNet.com, www.medicinenet.com/jet_lag/article.htm#what_is_jet_lag. Accessed 25 September 2018. (4) Herxheimer A and Petrie KJ. "Melatonin for the prevention and treatment of jet lag." Cochrane Library, www.cochrane.org/CD001520/DEPRESSN_melatonin-for-the-prevention-and-treatment-of-jet-lag. Accessed 25 September 2018. (5) Eastman CI and Burgess HJ. 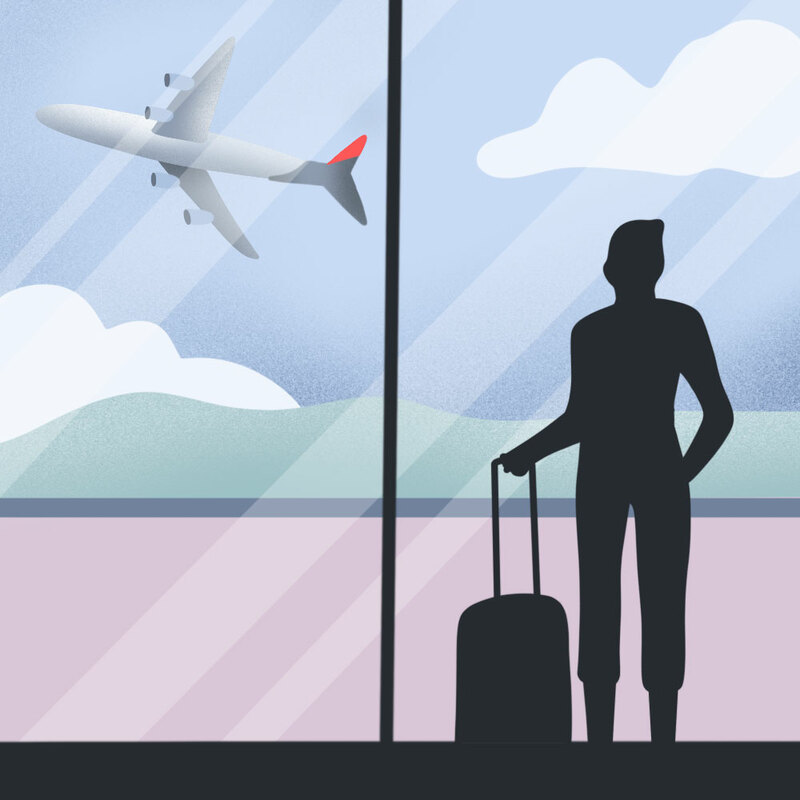 "How To Travel the World Without Jetlag." PubMed.gov, www.ncbi.nlm.nih.gov/pmc/articles/PMC2829880/. Accessed 25 September 2018. (6) "Jet Lag: Symptoms, Risk Factors, and More." Tuck, www.tuck.com/jet-lag/. Accessed 25 September 2018. Tired of looking tired after a long flight?